Our futureproofing assessment and planning tools assist asset intensive infrastructure companies to help identify what the lasting value will be for an infrastructure. Our futureproofing tool has been successfully piloted on Liverpool Wastewater Treatment Works (LWwTW) with United Utilities and Costain to meet increasing wastewater treatment demand due to long-term population growth while keeping the River Mersey clean. The existing wastewater treatment works at Sandon Dock became operational in 1991 and was upgraded to its current form in 2000. As a result the Mersey now sustains a wide range of fish. However, the works needed replacement. Liverpool Wastewater Treatment Works is a £200 million extension project to keep the Mersey clean for generations to come. 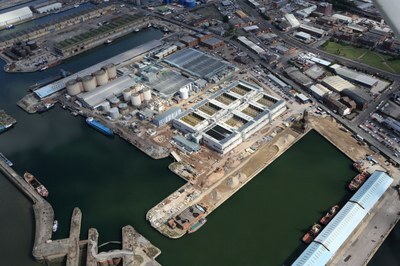 Due for completion Spring 2015, the new plant at Wellington Dock will serve around 600,000 residents. The completed plant will be able to cope with 11,000 litres of wastewater a second. We piloted the infrastructure futureproofing tool on LWwTW.